Toys – choose a variety that’s appropriate for your dog’s play style or needs; i.e. fetch toys, teething toys, plush toys, etc. Busy Buddy toys are a staff favorite! Treats – choose a variety for training, chewing, special crate treat, etc. *These items are required at the time of adoption. Grooming supplies – supplies based on your dog’s coat, cleaning aids for teeth and ears, and nail clippers. VBSPCA Aloe & Oatmeal Shampoo is great to have onhand. Before bringing your new friend home, be sure to move anything chewable up and out of the way. A resident dog might not be as interested, but a new dog will be ready to explore. Some items might be obvious, but you will also want to position yourself so you are at a dog’s level to see what your dog will see. Give a thorough look around and make sure nothing potentially harmful is in reach. This will help prevent your dog from chewing your shoes, books, toys, remotes, or other household items that may be enticing to a curious pet. Dogs also tend to chew on electrical cords, so tuck those away and out of sight. This might mean you will need to gate off certain areas of the house, specifically the kitchen and living room. You may also want to use a gate to block off the stairway, prohibiting access up or down the stairs. As much as we want to spoil our new family member and give full access to his or her new home, your home is not yet a familiar place and your new dog needs time to adjust. How much time is different for every dog, and it’s recommended to start small. Creating a smaller, safe space where your dog can leave/smell his or her own scent allows your new family member to feel ownership of the space, which helps to increase confidence and reduce any stress. A great way to create this space for dogs is crate training, which can also help with separation anxiety and other concerns when a dog is first introduced to a new home. Set up a bed inside a crate and make this your new dog’s sanctuary space. The right crate size should be tall enough so your dog can stand up comfortably and wide enough for your dog to turn around. The crate shouldn’t be too large, however, with just enough space for a bed and food/water bowls. We recommend the Precision Pet Care Crate. This crate has 2 doors, a secure lock system, rust resistant, black e-coat finish for extra longevity, and an easy to clean polypropylene plastic pan. Plus if you have a growing puppy, this crate comes with a divider panel that allows you to adjust the size of the crate as your puppy grows. The Precision Pet Care Crate also folds down to store and transport and is available for purchase at our Holland Road shelter as well as the VBSPCA Pet Supplies & Adoption Center. Make the crate a soft and warm environment with blankets. It’s also recommended to lessen the lighting by draping a blanket over the crate..
Find a location that’s best for your dog. Either in a calmer area of the home or a human-centered location like where everyone sits to watch TV. Feed your dog meals in the crate and/or give your dog special treats only when in the crate. Have positive associations happen in the crate while you’re at home so your dog will not associate being in the crate to being alone or times when you’re gone. Don’t approach leaving the crate as a reward by getting your dog excited to come out. Wait until your dog is quiet with all four paws on the floor before opening the crate. If you already have a pet in your family, have a meet-and-greet in neutral territory before bringing the new pet into the home. The Virginia Beach SPCA requires and conducts a meet-and-greet with any resident dog(s) prior to adoption; This is scheduled after an adoption application is submitted and is a way for us to see how the dogs will behave towards each other prior to bringing a new dog home. If you have other pets such as small animals or a cat, you will want to introduce them slowly and with supervision. Let them sniff each other through the door first so they can familiarize themselves with the new smells before seeing each other. It also helps to associate the other pet’s smell with something positive, like feeding them on opposite sides of the door around the other pet’s scent. When your pets do meet face to face, try to keep it short and sweet. Your dog(s) should be safely restrained on a leash during initial introductions. If your dog appears to over-focus on your other pet, see if you’re able to distract your dog with a toy, treat, or by calling your dog over to you. If you’re not able to get your dog to look away/break eye contact, end the face-to-face introduction and try again at a later time. It might take some time for them to get used to each other, and that’s okay, but make sure you don’t force interaction as this could cause aggression and fights. Pay attention to body language. Reactions like “freezing” could be a sign that your dog is stressed and uncomfortable and needs a break away from your other pets. If necessary, they may need to go to their sanctuary space to relax. If you continue to have problems, please give us a call. 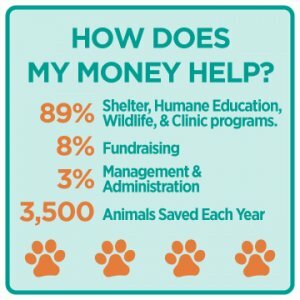 Shelter staff and our Pet Academy trainers are happy to help! The time it takes to acclimate is different for every dog. For the first week or so, your new dog might need some space. Let your new dog explore the new environment at their pace, and if your new dog still prefers to be away from the family, allow it. However, even when allowing extra space, remember to keep an eye on your new pet to prevent any chewing, accidents, or potentially dangerous situations. You will also want to give your new pet time to get used to the new environment before meeting extended family and friends. Two weeks is typically a good adjustment period, after which you can slowly introduce your new pet to new faces. However, be sure to keep an eye out for signs of stress, such as panting, running away, cowering, growling, or pacing around the home. If these signs appear, give your pet some more time before any more introductions. Set your dog up for success by starting a regular schedule as soon as possible. An inconsistent schedule is confusing for dogs and may contribute to behavioral problems. Try to keep feeding times and bathroom breaks on a consistent schedule. The general rule for bathroom breaks is dogs up to 6 months of age should be let out at least every 4 hours. Older dogs may need more frequent breaks depending on size and age. Pets thrive with routines as it helps with an overall feeling of security. What Food Should I Use? 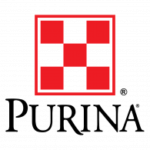 You will be provided with a starter supply of Purina One, or any specialized food your new family member is currently eating at the VBSPCA. Keeping food familiar can help to reduce stress after a change in environment and is also easier on a dog’s stomach. If you prefer to change brands, slowly transition by adding 25% of the new food into their current diet. Every few days, increase the amount to 50%, then 75% until switching over to the new food completely. Gradually changing their diet gives their digestive system time to adjust which helps prevent an upset stomach. If the animal is on a special diet, please check with your vet before making any changes. Food packaging provides a guideline on how much to feed your pet based on weight. However, all pets are different and you should check with your veterinarian if you notice your dog is gaining too much weight. Pet obesity is a growing problem so we cannot stress this enough. Anxiety can also cause pets to eat very little or refuse to eat at first. Try adding wet food to your pet’s dish to encourage him or her to eat. 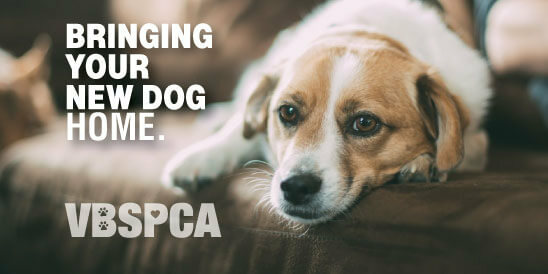 If your pet is not eating after 24 hours, please contact the shelter or your veterinarian. Make sure your new dog gets plenty of exercise, and this doesn’t just mean walks. You will need to engage your pet in games of fetch, tug, and chase. Regular exercise will help prevent unwanted behaviors such as digging, chewing, and barking, while also providing quality time for you and your pet to bond. In addition to exercise, have lots of interactive toys on hand and don’t forget to reward your dog with healthy treats! You can also sign up for dog training classes which will strengthen the relationship between you and your pet while also establishing healthy discipline and good dog behavior. You might even learn some fun tricks, too! We recommend Busy Buddy dog toys by PetSafe as a fun and positive and training tool for pups of all ages. Made of thick, durable rubber, these toys are are a great for separation anxiety, boredom, exercise, chewing, barking, digging, training rewards, and crate training. Each toy is designed for a new challenge, and with available sizes ranging from extra small to extra large, it’s easy to find the perfect fit for your new dog! Patience is the key ingredient to the successful integration of a new pet into a home. Every animal has his or her own individual personality and it will take time for both of you to settle in to your new family. Some dogs may develop new behaviors once your dog feels comfortable and confident in your home that were not seen at the shelter. If these new behaviors are not desired, VBSPCA Pet Academy offers a variety of different training classes and workshops and our trainers are happy to help!